Vancouver island stretch tent rentals. Great for festivals, weddings, and all events requiring the amazing shelter with a great atmosphere. Create an atmosphere at your next event with Shady Spaces unique range of bedouin-inspired stretch tents. Offering superior quality in every regard, our tents are stunning and highly versatile—a great alternative to the traditional marquee. 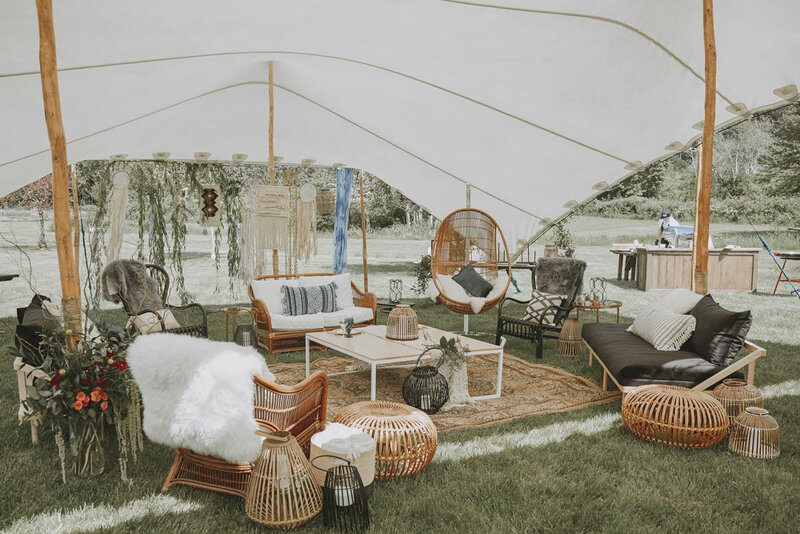 Find the right look and feel that’s custom to your event with infinite tent set-ups and a variety of colours, as well as lighting and furnishings. Endless set-up configurations and custom lighting to suit your next event—all under one roof. Check out some of our latest weddings, festivals and special events to get inspired! Custom configurations available for almost any capacity—plus bespoke weather protection for all your guests. NEW - Event lighting and dancefloors now available! Soft 2 watt LEDs that add a warm glow to your event’s atmosphere. Our larger tent set-ups even include a weatherproof gutter system to keep your guests stay dry & shaded. Shady Spaces tents supported by natural eucalyptus poles and imported directly from South Africa—we were the first company to bring stretch tents to Canada’s West Coast! Inquire about our live edge custom made cocktail tables and benches. Sponsorship is an opportunity to be part of the community, give back to the island, and build long term partnerships. Shady Spaces is a locally owned and operated Tent Rental Company based out of Cumberland B.C, and is excited to be stepping into their second season of operations. Introducing unique and sleek bedouin-inspired Stretch Tents to the event-rental and wedding market—a fresh alternative to the marquee. See what we’ve been up to & follow for ticket giveaways! All our tents are connectable and are able to have a tailored set-up to your special event. Every rental includes tent configuration, set-up and take-down. *Contact us for more information on custom options like two tone dance floors & patterns. Contact us for more information on your custom set-up and colour options!